Do You Have the Power to Know What You’re Losing? 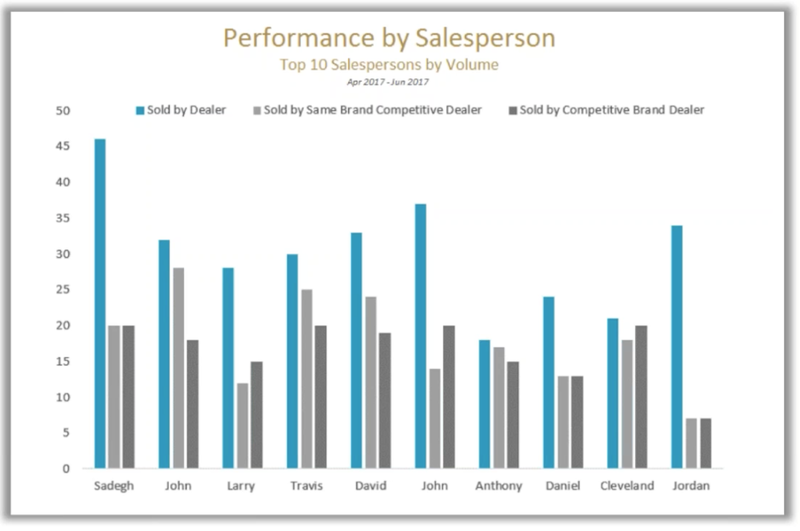 The number of automotive reports dealership managers receive in a typical month drastically differs from the number of reports that empower them to take immediate action based on sales data only hours old. It’s as if dealers in today’s world have to excavate through mountains of analytical ruins in hopes of uncovering a single data-driven insight that may or may not impact their sales goals. Not to mention the hurricanes and natural disasters that have further obstructed an industry in its ninth month of national decline. Auto marketing leader, Brian Pasch recently compiled a list of all the individual reports General Managers running a franchise dealership could typically get each month. “For auto dealers, the count is over 20 reports! All separate. All with different metrics. Lots of data, not many actionable insights,” says Pasch. The overarching problem with most reports is that they only show one perspective of a much more dimensional, much more compelling story. A lot of vendors and their unique reporting methods tend to be biased in how they present results. In other words, they focus on what they’re helping your dealership win - whether it’s more clicks, more website traffic, or more leads. But what about all the other pieces needed to complete the story? What about all the sales opportunities you didn’t win? What about the customers in your CRM your salespeople didn’t close? What about the active leads in your system you’re wasting time, money and effort chasing when in reality, they’ve already purchased from somewhere else? Wouldn’t having that knowledge save a lot of wasted energy and marketing dollars? Wouldn’t it be helpful to know as of yesterday how many sales you lost, which competitors you lost them to, and the reason why you lost them? Furthermore, dealers need systematic visibility into the true outcomes of in-store customer interactions. We can’t solely rely on CRM data as it can be subject to human error. So the question is, does a report exist that accurately depicts the end result of every living, breathing, human-to-human exchange that physically takes place in your showroom? Did those personal interactions result in a vehicle sold or was the opportunity lost? For every digital action, there should be an equal and opposite reaction. What I mean by that is that all aspects of your digital marketing should strictly be evaluated based on their effectiveness or ineffectiveness of increasing vehicle sales that occur in the showroom. What we need now more than ever is a way to accurately discern if the money we’re spending on our digital marketing AND our in-store processes results in a closed sale or an opportunity down the drain. Those are the numbers dealers need to zero-in on to know the absolute best way to spend their marketing budget moving forward. But wait! The good news is that a report currently exists that is capable of all of these things and more. 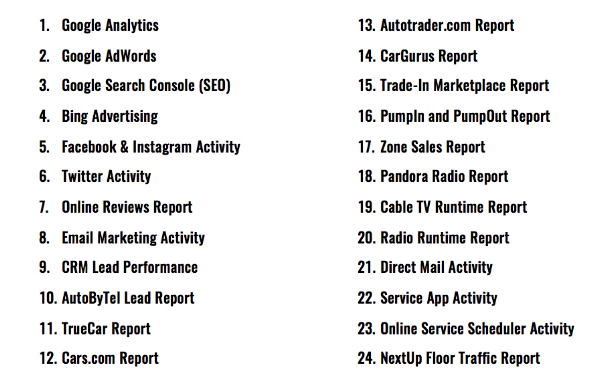 This particular report defines attribution in a way this industry has never seen before. I will openly admit, there are few aspects of this tool that others out there have the potential to imitate. However, their numbers are based on 90-day old data, not near real-time sales match data. They also don’t provide a 360-degree view of your lost sales tied to a specific salesperson, lead or traffic source, model, or top competing dealer or brand in your market (all in one single report). How do you put a price on THAT? More than fifty percent of car shoppers are viewing dealership websites with their mobile devices, so having a mobile marketing strategy to connect with them is not only recommended, but critical for future survival. The benefits of "going mobile" are many and well documented, including the ability to make relevant offers to a specific target market, and the ability to identify and communicate with customers that are geo-physically close to your location. Yet there is a dark side to mobile technology that auto dealers can't ignore. When customers are in your showroom and using their mobile devices, chances are they aren't checking email. Chances are, they're checking prices and offers at other dealerships. In fact, 62 percent of customers who use smartphones on your lot will visit another dealership within 24 hours. When I talk about showrooming to dealers, I am reminded of a similar time back in the early days of the Internet. 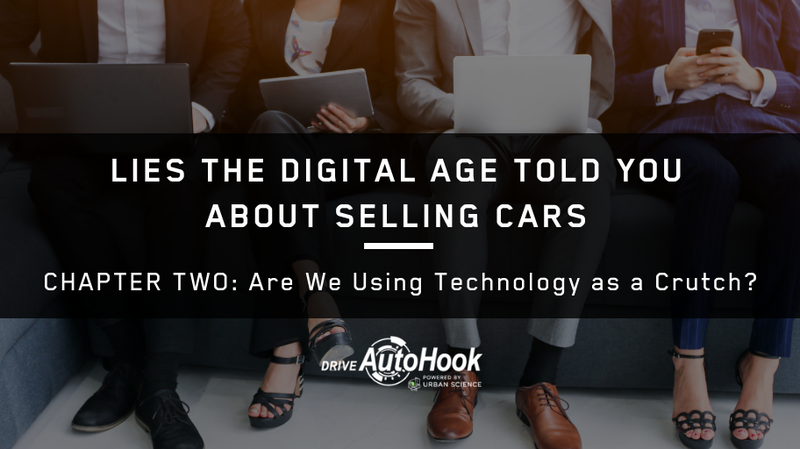 During that time, some dealers immediately realized the Internet was the future of car-shopping and raced to be early adopters, posting online ads and posting photos of inventory on their websites. Other dealers staunchly opposed the idea of all that transparency; their attitude was "in order to view my inventory, the customer has to come to my store." In retrospect, this attitude seems pretty silly, but it was very real at the time. Today I often get a similar reaction from dealers when I tell them the best way to deal with showrooming is not to fight it, but to embrace it. Best Buy is one big-box retailer that initially tried to fight showrooming by blocking cell phone and wifi signals in its stores. The attempt failed dismally and eventually, Best Buy embraced showrooming by offering to price-match its competition and boosting its ecommerce presence. This strategy has worked. Auto dealers can also make showrooming work for them instead of against them. If they jump in now, they'll be similar to those trend-setters in the early days of the Internet who were well prepared as more consumers went down that path. Ensure Your Entire Online Shopping Experience is Responsive. Most dealers trust their website vendors to make their dealership website responsive. But sometimes extensions and other third-party add-ons can render in a way that disrupts the flow or function of a mobile page. The only way to know for sure what a customer's experience will be is to use your own mobile device to do everything a customer does, including: inventory search, getting a trade-in price, calculating payments, filling out a lead form and using online chat. Ideally this process will be done on more than one mobile device. In fact, it may be a good idea to hold a sales meeting and lead the entire sales team through this process on their mobile devices. At the end of the meeting, all glitches should be identified and as a bonus, the salespeople will have a greater understanding of how half their customers are interacting with the dealership. Now use your mobile devices to check out the car-shopping experience on your main competitors' websites. Note both their shortcomings and their strong points, and compare it to your own mobile car-shopping experience. Is there anything you think works that you'd like to add to your website? The goal is to offer the best mobile online shopping experience in town. I would have an app for existing customers - and I would use it as a service application and for customer retention. I fly Delta and I use their app all the time - I use Spotify. A car-buying app - I am not going to use that every single day. Am I going to use it as a conquest car-buying application - I love apps for the right reasons. I have a strong opinion on executing on mobile apps. Car shoppers using mobile devices rarely fill out lead forms, but they will chat and they will text. So learn to communicate with them using their preferred methods. Using a reliable vendor for these services is highly preferred over letting your salespeople send personal, informal texts. In general, if you want to own your messaging, keep it consistent and stay in compliance, a vendor is a better choice. Draw Customers to Your Showroom. Once you are in communication with your mobile customers, give them a reason to visit your dealership. Remember, these car shoppers are performing low-funnel activities like viewing inventory and researching pricing, so your messaging should be low-funnel too. 1. Maps. Display your address and a map, and clickable directions from your customers' current location. 2. Offers. Give away a free visor or a gift-card just for coming in to take a test drive. 3. Incentives. Display special lease prices, cash-back bonuses and other offers. Offers can be customized to an individual's browsing history. 4. Pricing. Car shoppers want to know pricing and one way or another, they'll find it eventually. Why not be the dealership that gives it to them? A very wise Jedi-trainer once said, "Fear is the path to the dark side. Fear leads to anger. Anger leads to suffering." Showrooming may be the dark side of mobile but if Yoda's words are right, auto dealers who fear it may suffer from its ill effects; while those who embrace showrooming will learn to master it, and prosper. David brings a wealth of automotive knowledge and experience to AutoHook powered by Urban Science, both from a dealer and service provider perspective. As President of AutoHook, David leads strategy, product, sales, and marketing for the industry leading provider. As the co-architect of the product suite, he works with OEM’s, agencies, vendor partners, and dealers to increase lead conversion, showroom visits, sales attribution, and brand Loyalty & Conquest rate. Prior to starting AutoHook, David served more than six years as Chief Marketing Officer for MileOne Automotive, a large, privately held automotive dealership group. At MileOne, he built an industry-leading marketing organization, leveraging technology and the internet to increase market share, while dramatically decreasing advertising spend per vehicle sold. David previously headed sales for Autobase for nearly 5 years, where he helped grow the company from a small start-up to the leading automotive CRM software vendor. He began his career on showroom floor. As an early adopter of technology, he built a prospecting and follow-up system that helped him rise to become one of the top Chrysler salesmen in the country and moved his way up, eventually to General Manager of a dealership. David is regarded as one of the foremost experts in the automotive marketing and e-commerce space and is a frequent speaker at industry events including Digital Dealer, the Global Automotive Conference, NADA, 20 Groups, and JD Power’s Automotive Internet Roundtable.